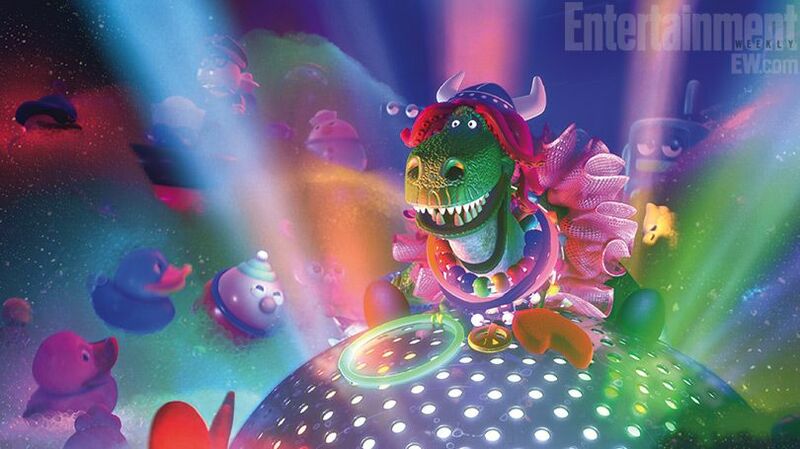 Pixar has released the first images from their upcoming Toy Story short film, Partysaurus Rex. 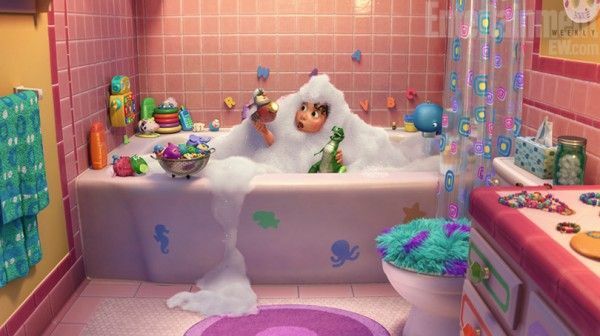 The third “Toy Story Toons” sees Rex (voiced by Wallace Shawn) pulled into Bonnie’s bath time, which allows the neurotic dinosaur to finally cut loose. “If you’re a bath toy you get really intense playtime. It’s like a party,” director Mark Walsh, an animator on Finding Nemo, The Incredibles, and Ratatouille, tells Entertainment Weekly. “What I was going for was, you move to a new town and make new friends, and suddenly you think you have this chance where you can reinvent yourself,” says Walsh. “I love that Rex, in his sweetness, thinks he can reinvent who he is in the image of a party animal.” His reinvention gets some help when he manages to save the other bath toys from being stuck at the bottom of the tub since he’s the only one with arms (short as they may be) and can turn the water back on to get the party going again (with dance music by Grammy-nominated electronica musician BT). Hit the jump to check out images from Partysaurus Rex. The short will play in front of Finding Nemo 3D, which opens September 14th.